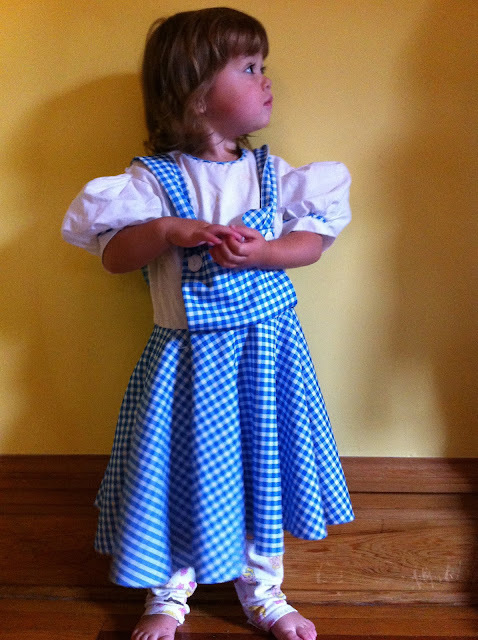 She would love to have her own Yellow Brick Road. Glitter is not my favorite but I could over look that to make these in red for a certain birthday girl. The Smithsonian to see the one of the pairs of real ruby red slippers in person! Of course there is the original Wizard of Oz series by L.Frank Baum, which I learned at the book store the other day consists of 14 separate books! I had no idea there were that many. While the Bean isn't quite ready for those she does love this one, The Wizard of Oz Scanimation by Rufus Butler Seder. Thanks Rosa! I love that poster!!! Thanks Rosa! I love that poster!